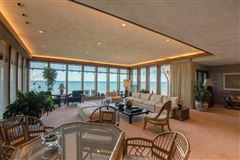 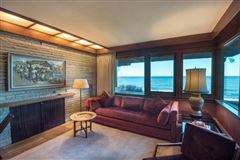 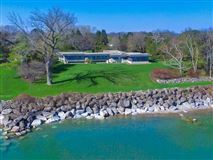 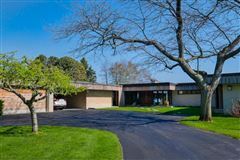 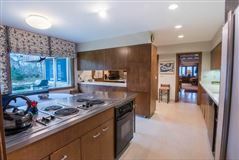 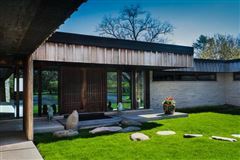 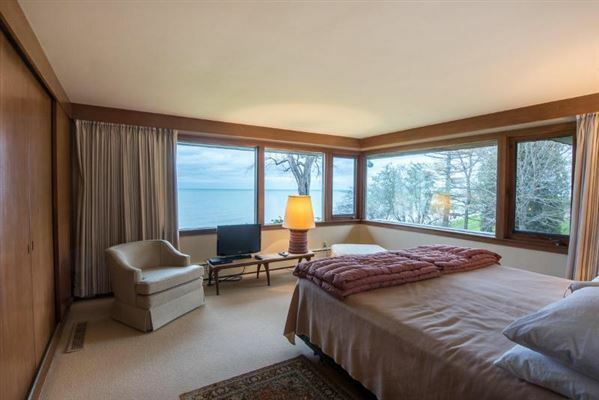 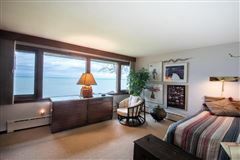 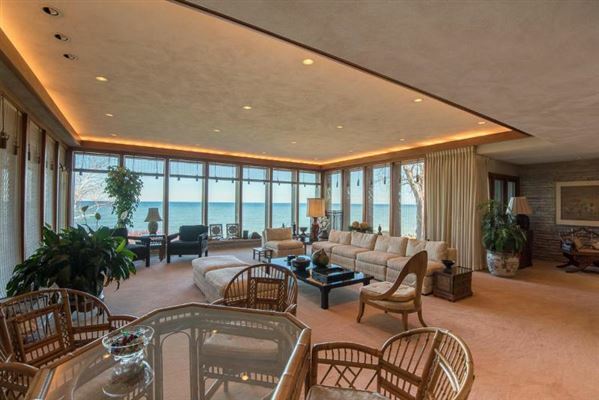 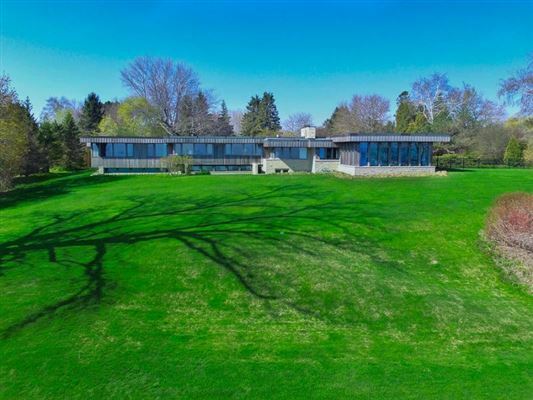 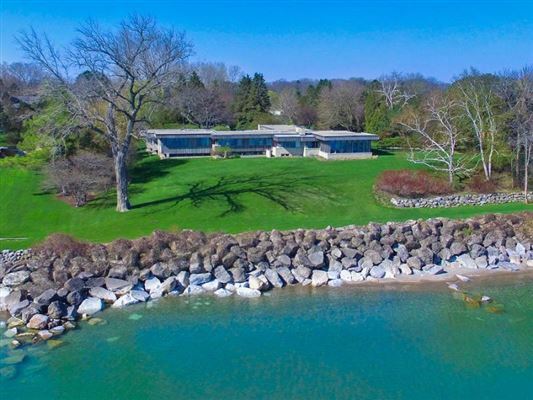 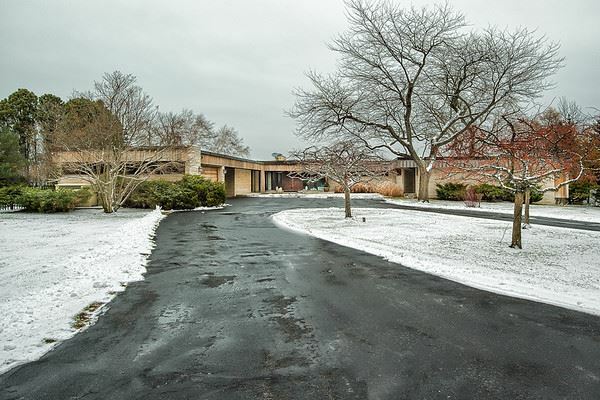 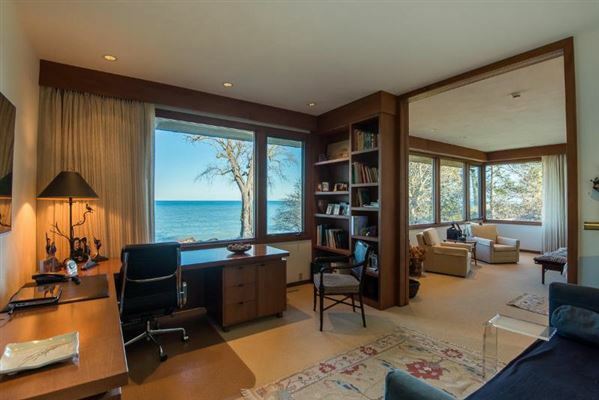 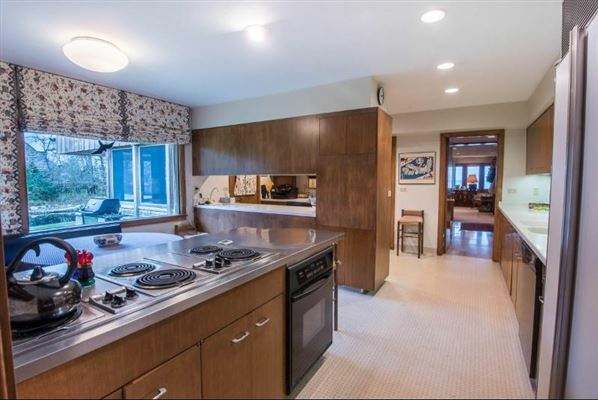 Elegant, architecturally-designed contemporary lakefront home on 1.93 acres, with 233+ feet of Lake Michigan shoreline, private sand beach & lakefront protection. 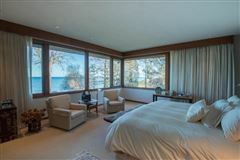 Expansive windows on east side provide gorgeous lake views from almost every room, including living/dining rooms, den and bedrooms. 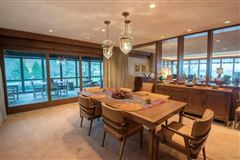 Dining room windowed-doors slide open to a beautiful screened porch, bringing the outside in with views overlooking the yard, water-lily pond and Lake. 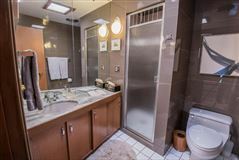 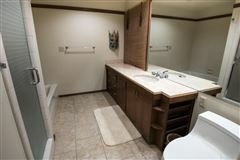 6 bedrooms and 6 full baths, plus powder room. 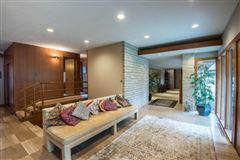 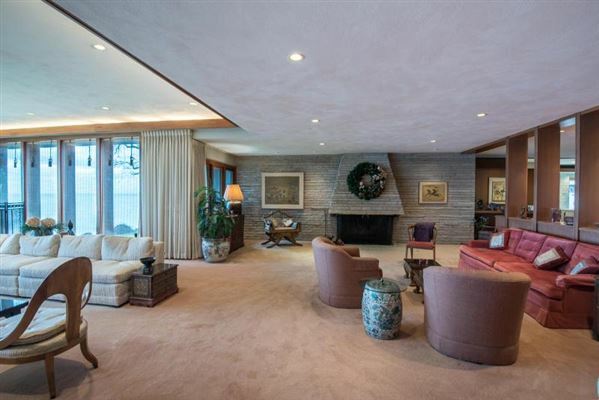 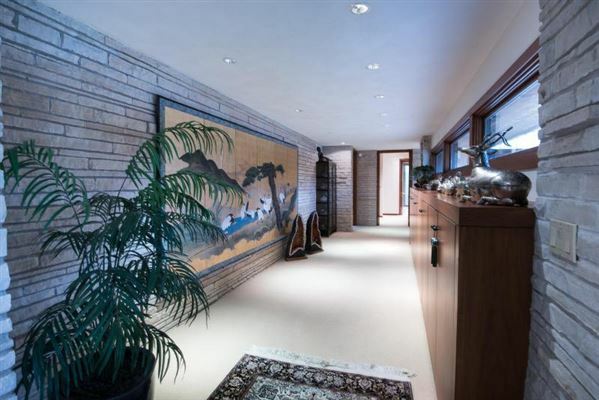 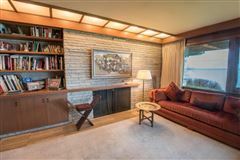 Charming game room, built-in bar and party room for entertaining, and sunken, fireplaced sitting area on lower level. 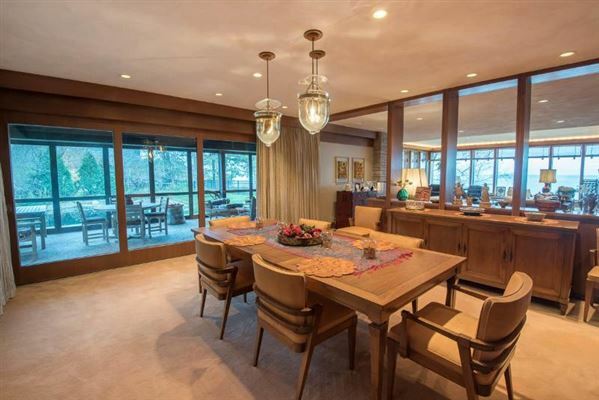 The interior is a beautiful combination of hardwoods, stone, hard tiles, and glass. The original home was built in 1961, with south wing added in 2003. 2-car garage plus 2-car carport.